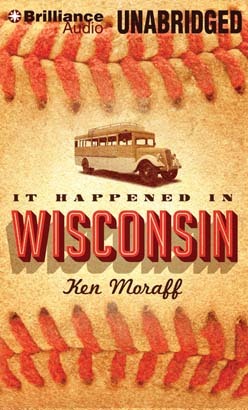 In an America ravaged by the Great Depression, a talented but ragtag baseball team sets out to change the world. Barnstorming the back roads and dusty ballparks of the Midwest, the Racine Robins rally fans to the populist cause, raising money for soup kitchens and strike funds even as they thrill small-town crowds and dazzle opponents on the field. Yet winning the hearts and minds of the people turns out to be easier for the players than facing the twin seductions of love and money, conflicting desires that threaten to derail everything they are fighting to achieve. After a sudden April snowstorm forces the Robins to find shelter in the Rockefeller hotel, events are set in motion that will change the way they view their team and each other. Can this tough, tight-knit group stay true to its great cause when ambition and longing come knocking?